I'm definitely riding the groovy electronic / house wave lately. Maybe it's the 20+ degrees in my hometown where I am staying for a few weeks or just.. life itself, but the vibe is just right! Next on my feel-good list is this release from the guys at the Brooklyn-based label Infinity Pool Recordings. 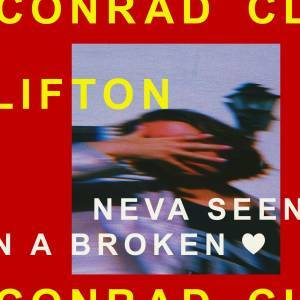 Meet Conrad Clifton and his lushful new track "Neva Seen (A Broken Heart)". What I loved about it is the fact that it's such an awesome blend of future beats, house and electronica... you can easily pick influences from KAYTRANADA, Tom Misch, Pomo and Anderson .Paak but... blended in a different way. This is pure happiness. In case you wonder who Conrad Clifton is, well be is actually Infinity Pool Recordings’ label founder and a damn good producer I must say. His work is the shortest way to feeling good.